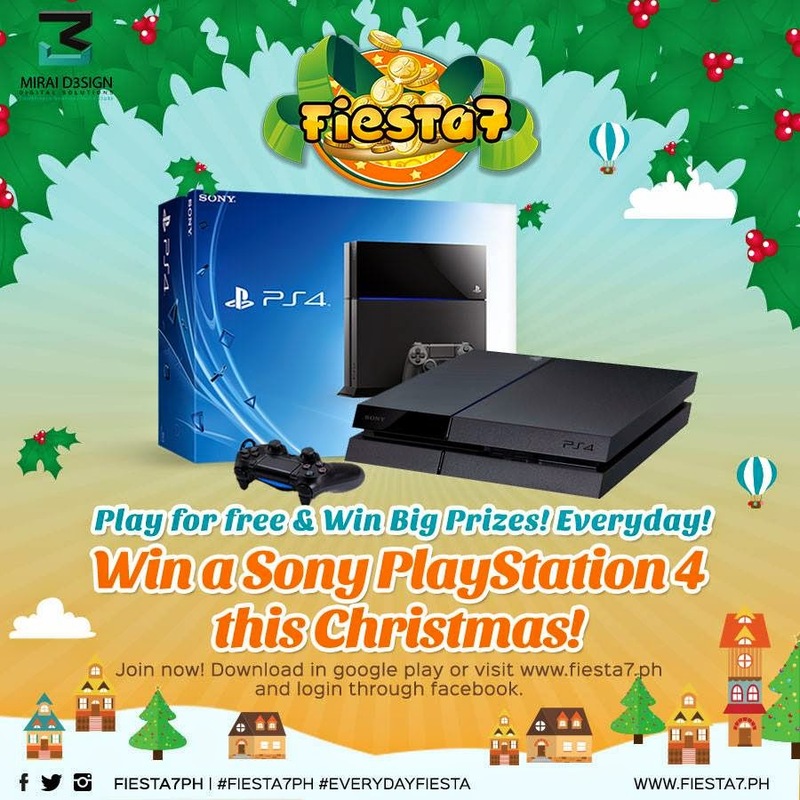 What if I tell you that you can WIN a SONY PLAYSTATION 4 this Christmas if you play Fiesta7? Isn’t amazing, right? How about if I tell you that there is an APP-GIVING- PRIZES-FOR-FREE that is already out in the market? It’s not a scam and it’s for real! 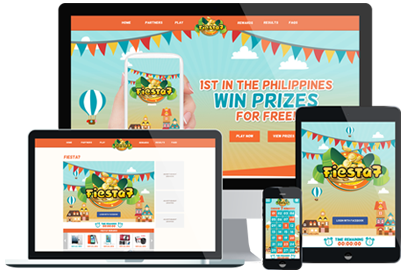 Experience an innovative and fun way of driving users to a mobile game application made available to Android and web browser that offers exciting all year round prizes. Its the newest, exciting mobile and web number game application where the players can join for free, play everyday and win exciting prizes everyday! User has to be a a) resident of the Philippines b) Facebook users who are 18 years old above and c) uses a desktop, laptop, tablet or smart phone with internet connection. STEP 2: Login using your Facebook account. No purchase needed to join. Register and click Play. Wait for the winning result every 7PM from Mondays to Fridays, if you become the winner, a representative will contact you using the email address you use(d) upon registration. What are you waiting for? Everyday there will be a variety of prizes all you have to do is to play everyday to join. No payment required for it is absolutely FREE! Don’t miss this opportunity as FIESTA7 have this awesome Christmas present for all of you. Stay updated from FIESTA7 by following us thru our social media accounts on Facebook (@fiesta7ph), Twitter (@fiesta7), Instagram (@fiesta7ph), Google+ (@fiesta7),, and Youtube (@fiesta7); we also encourage you to visit our website at www.fiesta7.ph to keep you posted and know more about FIESTA7.